is no need to notify me, but in all other cases, contact me for further information. There is no scale of fees, each case will be negotiated individually. personal use only, of a file that is available from these web pages or from a media article. Fair use/educational context. You may use a downloaded image as part of an educational lecture, presentation, report, or thesis. You may also reproduce the image as part of a handout derived from the lecture or presentation, provided this is made available for free, or charged at cost price. Any printing in a commercial book or journal. This includes not only coffee-table books, but also academic texts and any academic articles where the publisher charges for individual downloads containing the image, or a one-off fee for open access to the article. Examples of my maps in third party books and magazines are in the Books section of my Showcase pages. but also any web article where the image will be hosted rather than linked to on my own web site. to this will be where the map plays a substantial individual role in its own right, for example as a context-setting graphic in a television program. Note that in the simple case of an image reproduction, the image must not be altered in any way, otherwise this will comprise a derivative work (see below). a public context, as a jigsaw puzzle, as part of a board game, a mobile device application, or any other merchandise. Requests will be negotiated individually. In all cases, use of the design must be appropriate and the product must be high quality. Note that if you have purchased one of my posters individually, you are completely free to display it in any way that you wish. It is advisable to contact me before investing time in a derivative work. I am delighted that my maps inspire creativity and I wish to encourage this, but it is important that the original is respected. As per standard intellectual property rights, any publication or public display of (1) modifications of my designs, or (2) creations of new works derived from my designs, requires my permission. What I am unlikely to agree to: Any request to publish a third-party-modified version of any of my work, for example changing line configurations, or adding new lines, tourist attractions or other information. The original is my own product, designed with the utmost care and to the best of my ability. Third party modifications to my work might be clumsily executed, spoiling the aesthetics of the base map, reflecting badly on me as the designer. mass production, then a product licence will need to be negotiated. I have received in the past include publicity imagery, and corporate devices. 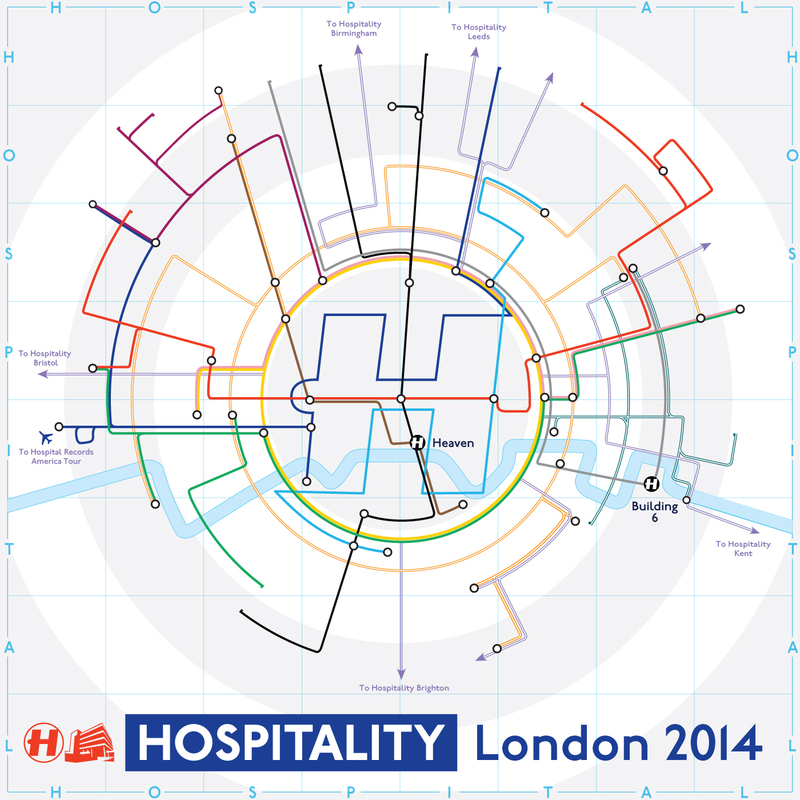 my London Circles map, which they wanted to use to publicise their 2014 events. I was pleased that they had contacted me and noted the high quality and good humour of the work. I was happy for them to use the design for internet-based publicity, but said that if they decided they wanted to use the image commercially, such as for tee-shirts and posters, then they should get back in touch with me to negotiate a licensing deal. 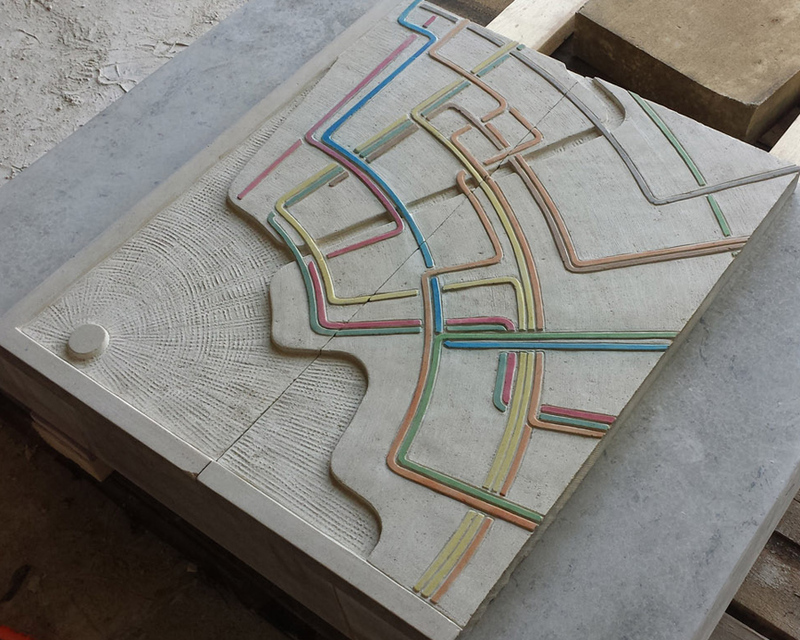 A Texas stonemason contacted me for permission to render my New York City circles subway map in stone as a personal project. I am happy to give permission in such circumstances, and I’m glad I did, the result is rather lovely. Other suggestions for realising my designs in novel media are most welcome, especially from stained glass workers. 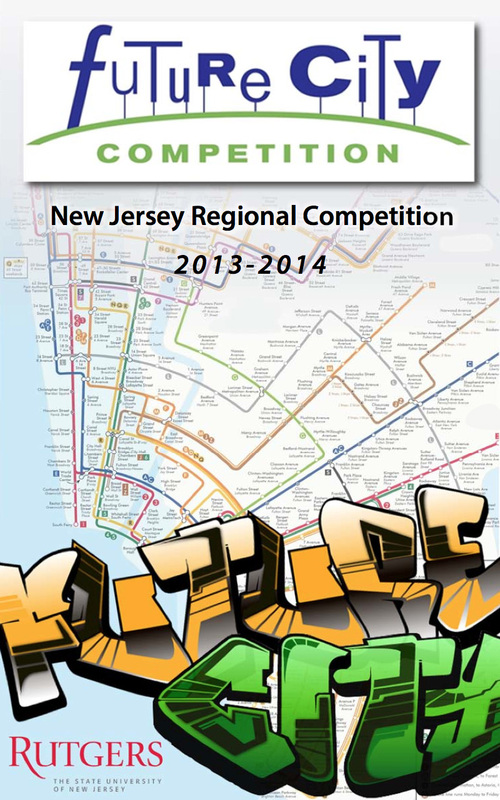 The Future City competition runs annually in the USA, and I was contacted by April White of Rutgers University for permission to use my New York City Subway circles map on the cover of the 2014 program. The politics of using a New York map to advertise a New Jersey event is not my problem, and I was happy with the use of the design and the worthiness of the cause. Note that although graphics have been placed in front of the map, the design itself is unaltered, therefore this counts as an image reproduction, and not a derivative work. a public context. 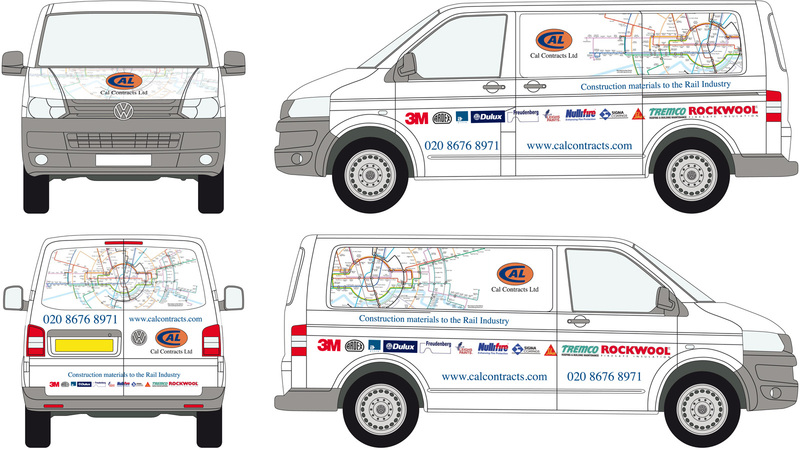 CAL Contracts, an industrial flooring company specialising in railway environments, wanted a distinctive design to decorate their vans. A mock-up was produced for them by Creative FX. The map had been used to good effect, and we quickly agreed the go-ahead. if negotiated after publication than before. 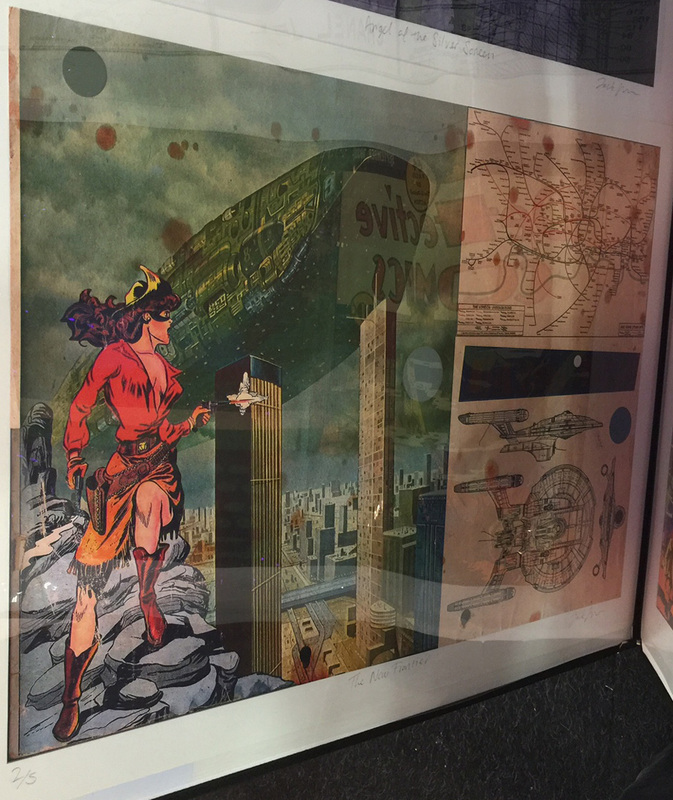 Sponsored by Tag Fine arts, and seen on display at the London Affordable Art Fair of 2016. 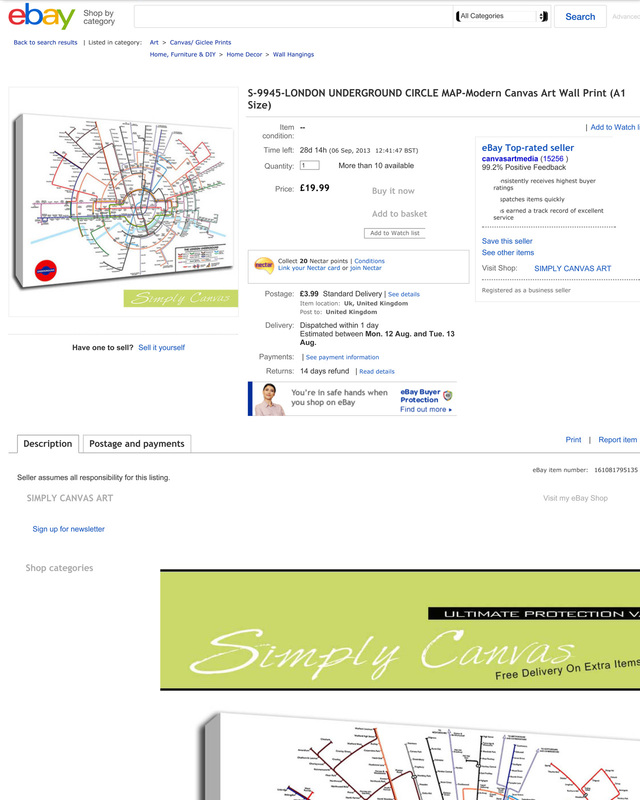 The protagonist had not made any attempt to contact me, and was offering fifteen prints at £250 each! The map, my own design, appears to have been defaced by mock blood stains. Despite complaints to Tag Fine Arts, I have still not received an explanation or an apology from the artist. In the unlikely event that any of these prints has been sold, by my calculation, I am owed £50 per print, so that’s £750 in total. Irrespective of the fame of the artist, I would never agree to one of my designs being misused in this way. Photograph by Reka Komoli. are always illegal, and are printed using low-resolution files that have been downloaded from the internet.